School Superintendent Tommy Chang visited the Sarah Greenwood School and spoke with a K2 Spanish class student. Two-and-a-half years into the job, Superintendent Tommy Chang thought he had finally devised a winning plan to change school start times throughout the city. Data generated by Massachusetts Institute of Technology researchers indicated Boston could allow high-schoolers to sleep in later, while letting more young students start school earlier, which in turn could save on busing costs. Everything appeared to be in order for Chang to deliver one of his biggest accomplishments during a tenure marked so far with few public victories. But Chang dropped the plan 16 days later amid crushing opposition from parents, several city councilors, and civil rights leaders. It was the latest in a string of controversies that has tested public confidence in Chang’s leadership and at times has frustrated Mayor Martin J. Walsh, who pushed the school start plan even as public opposition was rapidly mounting. Now, a little more than halfway through his five-year contract, Chang is attempting to rebuild relationships with parents and city leaders, while fending off questions about how long he will stay in Boston. Speculation persists about whether Chang and Walsh get along, though both men have repeatedly said their relationship is fine. 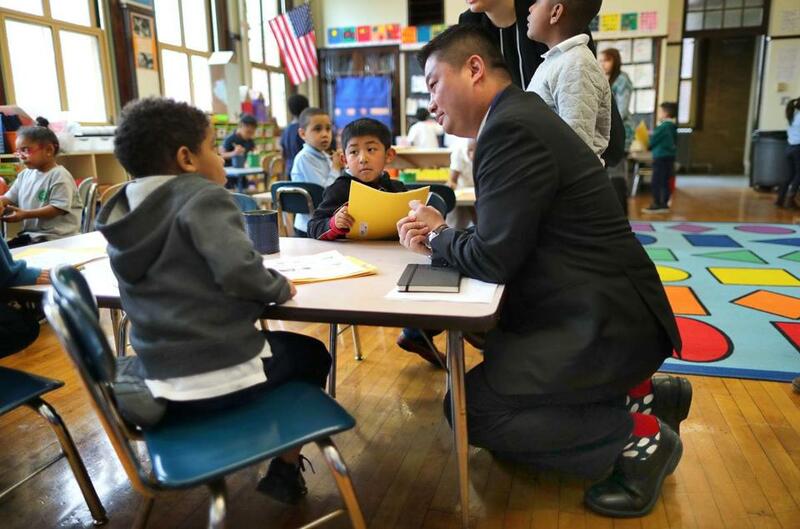 For many Bostonians, the challenges Chang has faced have a familiar ring: a superintendent stumbling as he or she tries to navigate the complicated politics and history in a school system where the wounds of court-ordered desegregation still linger. Chang’s predecessor, Carol Johnson, repeatedly confronted huge public uproars as she moved to close schools and change the school assignment system. Chang, a former Los Angeles school administrator who had not worked previously as a superintendent, said he is learning from his mistakes. Yet the repeated uproars have often overshadowed Chang’s efforts to improve the system, including his focus on eliminating inequities among students of different racial and socio-economic backgrounds. For instance, he has been expanding rigorous course work in the upper elementary grades in an attempt to end enrollment gaps in Advanced Work Classes, which have largely served white and Asian students. The latter groups have had better luck passing the exam to be placed in such classes, but Chang’s initiative, Excellence for All, makes the coursework available to all students. He also replaced frozen lunches with fresh entrees; introduced programs to address the social-emotional well-being of students; overhauled summer programs; and took steps to ensure that students lacking immigration documents feel safe amid threats of deportation. In describing the challenges of being a superintendent, Chang said, “It is critical you maintain focus. Those who know Chang say he bounces back quickly from public controversy or defeat, immersing himself in myriad initiatives under development. But some say he has a big job ahead of him to restore public faith. The controversies that have ensnarled Chang have run the gamut, from budget cuts and school closures to turbulent leadership at Madison Park Technical Vocational High School. Parents have complained about late school buses, confusion over which schools their children are eligible to attend, and a proposal to change how many grade levels each school serves. Chang drew days of criticism for failing to disclose a scathing IRS audit to the School Committee and Walsh — and for supporting Boston Latin School’s former headmaster when she was under fire for mishandling complaints of racial discrimination. He has repeatedly failed to build support at individual schools when making policy decisions. When he pushed for new start times, his team did not tell individual schools what their new ones would be — until after the School Committee voted — causing parents, teachers, and many principals to feel blindsided. And Chang created an uproar during the last school year when he gained School Committee approval to shutter Mattahunt Elementary School to avoid a state takeover there. Parents and community activists saw a state takeover as an opportunity to improve the school and keep all the students together. Chang has scored some victories, observers say, but communication can be improved. In performance reviews from the School Committee, Chang has received his lowest marks for family and community engagement, in which he was rated as needing improvement. In other areas, he received proficient ratings. At times, controversy has tested Chang’s relationship with the mayor. In November, Walsh publicly criticized Chang as the superintendent stood by his side for failing to tell him for months about an IRS audit that found sloppy bookkeeping at several schools. In 2016, Walsh publicly dismissed an effort by Chang to reexamine admission requirements to the city’s exam schools, saying, “I don’t think it’s the right time to be talking about it.” The effort, which Walsh learned about via a Globe report, abruptly ended. Walsh downplayed any disagreements during an interview last week. Overall, the mayor said he thinks Chang is doing a good job. Among them: Chang’s efforts to enroll more students of color in preparation programs for exam schools. Neil Sullivan, executive director of the Boston Private Industry Council, said one significant issue holding Chang back is a lack of outside financial resources. He noted that Johnson benefited from receiving millions of dollars in school overhaul grants from the Obama administration, and her predecessor, Thomas Payzant, landed big grants from philanthropists. Many observers say Chang is achieving success in overhauling classroom instruction. He routinely visits schools, monitors an array of test scores and other data, and shepherds along new instructional approaches. Graduation rates have reached a historic high. One recent morning, Chang stepped inside the red-brick Sarah Greenwood K-8 School in Dorchester. The school, which teaches students to be bilingual in English and Spanish, was faltering during his first year in Boston. Students were not consistently getting rigorous assignments and were being suspended at high rates. But during this visit, Chang noticed marked improvement. Students were constructively solving problems, and the basement had been transformed into a laboratory for creativity, where art, music, and engineering are offered. Principal Karla Gandiaga happily reported that suspensions were nearly nonexistent. 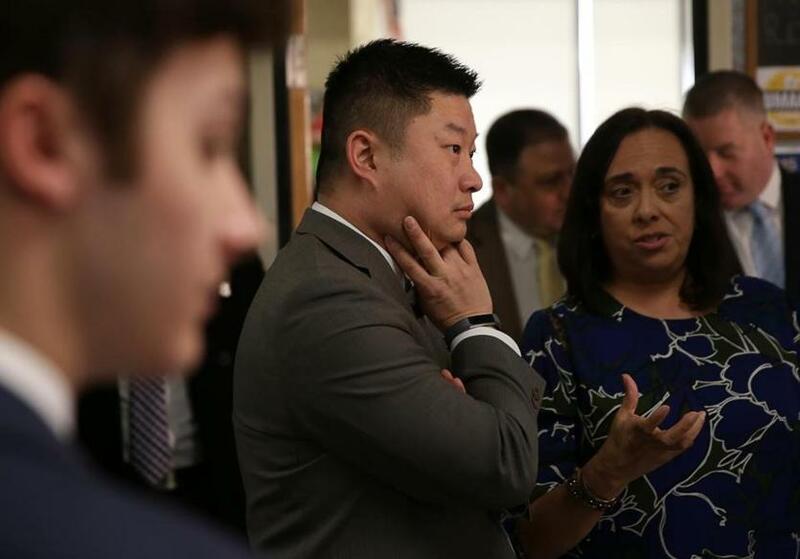 Later, at the Henderson Inclusion Upper School in Dorchester, principal Patricia Lampron updated him on efforts to make classes more culturally relevant to students’ racial and ethnic backgrounds — a priority for Chang. Michael Contompasis, a former Boston superintendent who helped Chang ease tensions at Latin School, said he hopes Chang sticks around. A departure, he said, would set back key initiatives, such as streamlining grade configurations and rolling out a facilities plan.